iPhone Made Simple Give Away Winners and Discount Coupon Code! 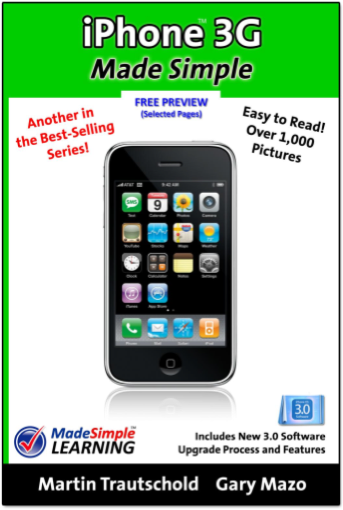 Last Thursday TiPb helped offer up 5 free copies of iPhone 3G Made Simple by Martin Trautschold and Gary Mazo. We'll announce the winners after the break, but for everyone else, Gary and Martin were kind enough to offer up a 15% off coupon valid through August 15, 2009. Click the "ELECTRONIC EDITION BUY BUTTON"
On the account setup page, copy/paste the coupon code into the "COUPON" field on the bottom. Click "Continue" to see the discount on the next page.